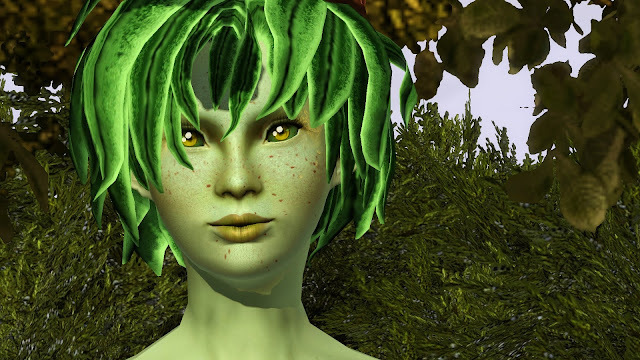 Children of Nature (Plant-People) are those who are given life by the God of Nature and whose forms take on something similar to half-plant and half-human. Often categorized by green skin and yellow eyes, Children of Nature are a rarity not found amongst the human population. Not much is known on Children of Nature, but they are still being arranged and categorized even today.